What Happens To My Belly Button During Tummy Tuck Surgery? Dr. Avi Islur will begin your tummy tuck with his proprietary Precision Body Grid. The Precision Body Grid is a surgical marking technique developed by Dr. Avi Islur to ensure personalized, symmetrical, and precise incision lines so they can be well hidden under your underwear and bathing suits. Once the markings are made, Dr. Avi Islur will begin to define and sculpt specific areas of your midsection by removing your excess abdominal skin and fat, then a new opening will be made for the placement of your belly button on your newly contoured abdomen. Your belly button has it’s own defined blood supply and that’s what going to allow for the new opening and placement of your belly button. 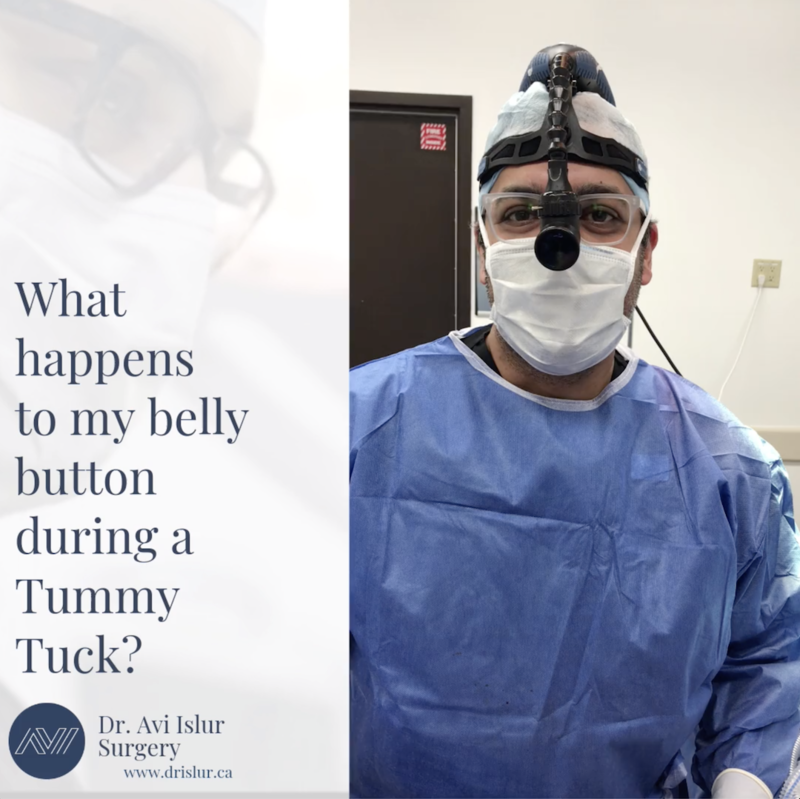 Watch the video below to see Dr. Avi Islur in surgery and discover how the new placement of your belly button is created during tummy tuck surgery. How Does Dr. Avi Islur Decide Which Type of Tummy Tuck is Best For Me? The best type of tummy tuck for your body is determined by your existing measurements and unique surgical requirements. You can also see a lot more detailed information about your surgical options on our tummy tuck surgery page. Liposuction can also be performed at the same time as your tummy tuck. We also share more Patient Transformations on Instagram and Facebook! If you have an account, let’s connect @drislur. If you are interested in Body Contouring, Breast Surgery, or Facial Cosmetics (Dermal Fillers, Botox, Laser Treatments, etc) call one of our Patient Coordinators at (204) 813-0305.